A fin whale cruises the waters in the Gulf of St. Lawrence in Quebec, Canada. The fin whale is on the list of endangered animals because commercial whaling continues to decrease the numbers. 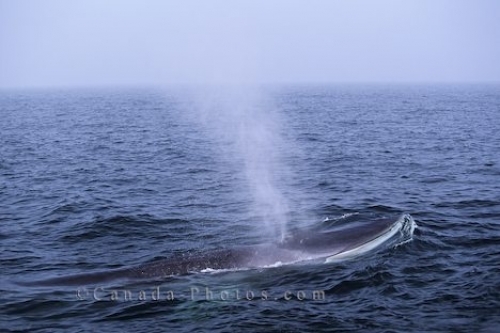 This particular fin whale was spotted in the Gulf of St. Lawrence in Quebec, Canada but they can be seen throughout all the major oceans in the world. Picture of a fin whale in the Gulf of St. Lawrence in Quebec, Canada.